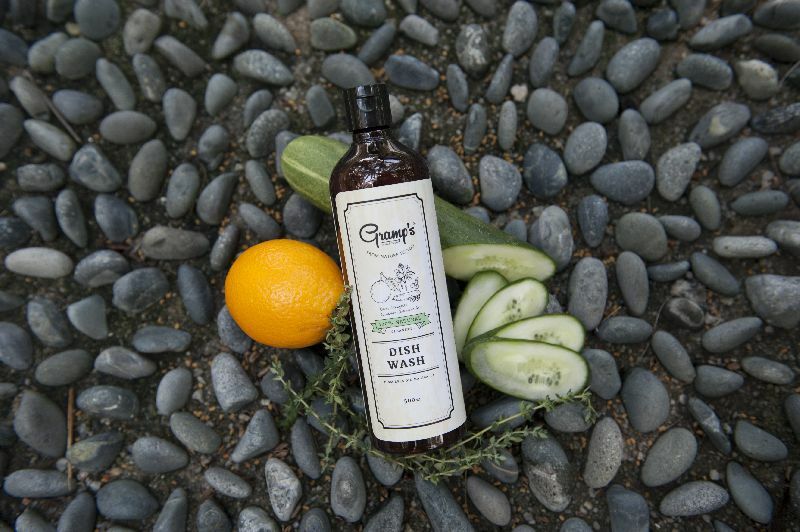 Gramp’s Dish Wash has the amazing formulation that turns oil or grease into a water-based solution. This effectively makes the cleaning process on any utensils, cutlery, cooking pots or pans whether made from steel, ceramic, glass, plastic and more; easy, fast and saves water at the same time. The result from the fast cleaning is impressive as stainless steel kitchenware is left shining and glassware glean instead of the usual smoky colour that it gets with poor washing. This powerful formulation is also able to remove charred remnants from pots and pans easily. 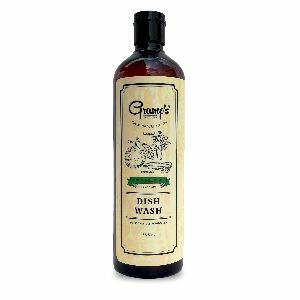 The impact from using this Dish Wash formulation is extensive. First of all, It prevents the sink and the piping from clogging because oil and grease disappear during the cleaning process. As the waste water from the dishwash is flushed into the sink, the formulation continues to work through the pipes as it heads downwards to the drains, working to clean it from fat, oil and grease, until it is absolutely exhausted. Effective to use on any material that requires general washing. Leaves everything clean even plastic wear which is notoriously difficult to clean. Before transferring the Dishwashing Liquid into another bottle, shake the contents first before pouring. Do not stack up the bottles. Shake every time before use. The Dish Wash has twice the concentration strength of normal concentrated dishwashing liquid. Therefore, the first dilution rate is 1:1 with water. To wash dishes. Use the 1:1 dilution and pour it into a basin or sink filled with 1:10 water. Remove all visible food bits from the dishes meant to be washed and soak it for about 5 -10 minutes. Remove the dishes and wipe with a sponge under running water/fresh basin of water. You may continue to use the same dishwash bath for multiple sets of dishes simply by just adding more WATER to the solution until the soapy effect is exhausted. To remove charred burns on the pot or pans. Use the 1:5 dilution (from original concentrate) and let it soak for 2 hours. For bad burns, soak overnight. Scrub normally after that.